There once was a hero called Powerhouse, who didn’t like wearing her dour-blouse. So what did she do? She didn’t have a clue. Until she spoke to her tepid yet sour spouse! Want to know more? Then please ignore the following adventure created by Joshua Williamson, Rafa Sandoval, Christian Duce, and published by DC Comics in January, 2019. TO QUOTE Ringo Starr: 'Being on this quest for a long time, it's all about finding yourself'. In order to find out more about the strength-force, both Barry Allen and Iris West travel to Corto Maltese, South America, where they quickly run into a nice young lady who has this particular power. Her name is Alexa Antigone, she’s a super strong rebel known as Fuerza, and currently, she’s fighting against a group of corrupt cops that intend to do some very nasty things. Part One) BASIC TIC: Back in the day, when I was a kid at school, the class I was in would often watch ‘prescribed video presentations’ that would teach us a variety of different subjects. So, if we were in an art class, we would sometimes watch a documentary about a well-respected artist or a notable piece of work. Or alternatively, if we were in a geography lesson, we would watch a travelogue that focused on a faraway country or a foreign culture. After a while, though, our class started to get bored, really bored, because these videos tended to be fairly flaccid and pretty pedestrian by design. So much so, in fact, that we couldn’t help but take the piss out of them due to their Z-grade actors and uncharismatic style, rather than listening to what they actually had to say. Which, in a roundabout way, brings me quite nicely onto these two episodes of The Flash: issue 60 and 61! Well, with all due respect, I’m afraid this current multi-part storyline is slowly turning into a formulaic episode of ‘Sesame Street’. Not only because each chapter feels somewhat monochromatic in terms of tone and overall plot development, but in addition to this, most of the subsidiary characters come across as being tolerably generic and beige on the page. Seriously, folks, from my point of view, these ‘Force Quest’ shenanigans are gradually evolving into a paint-it-by-numbers scenario, where person A goes in search for person B, only for person C to get in their way, Plonk!, depending on their default setting. 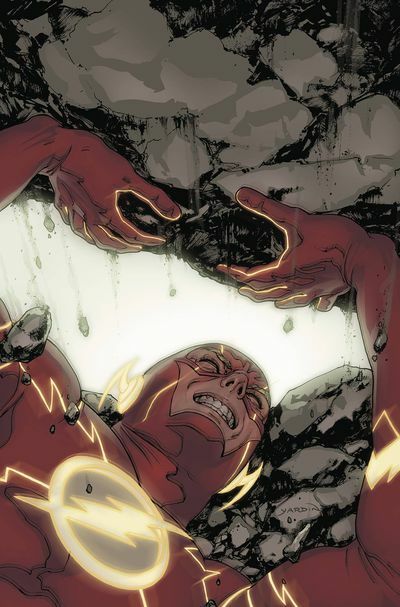 I mean, do we really want to see something like this from a Flash comic book? No. Surely not! On the whole, most of us speed-freaks want to get excited by the spirit of adventure, the evolution of a character, and the idea that we all live in a complex world where black and white is commonly tinged by different shades of grey. What’s more, we also shy away from tokenism and substandard characterizations, where all the heroes smile, Ding!, all the villains growl, Ggggrrrr!, all the teenagers have attitude, Whasup!, and all the different plot points join together as simple as one, two, three. Now, to illustrate what I mean, I would like to draw your attention to the start of issue 60. 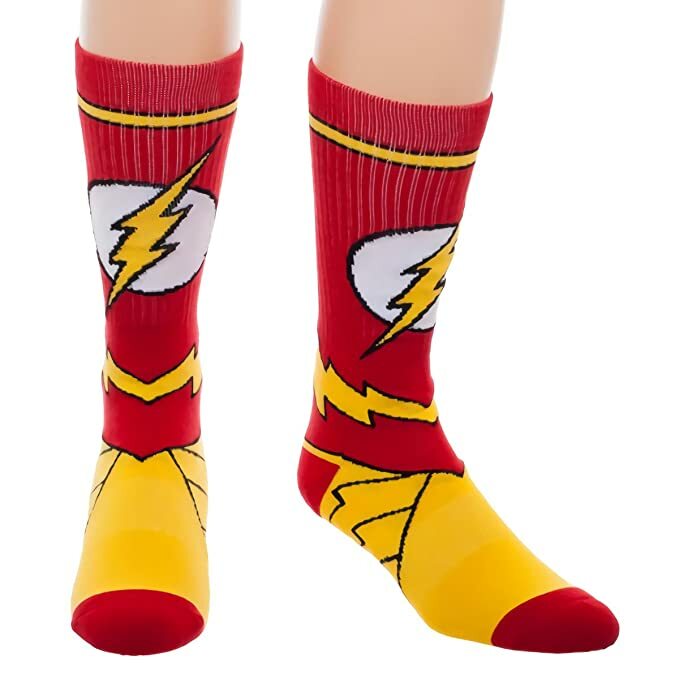 Most notably, the introductory part of the story where Barry first meets Alexa and she decides to punch him in the stomach, Pow!, despite already knowing that he’s a fully fledged superhero. Well, does that make any sense to you? Because it doesn’t to me! And along similar lines, I can also say the same thing about Barry asking Alexa to teach him about the strength-force, even though she’s only had her powers for a few weeks while Barry is an experienced member of the Justice League. Part Two) FARCE PEST: ... just loved the artwork drawn by Rafa Sandoval (for issue 60) and Christian Duce (for issue 61). Well, as you can clearly see from the pictures provided, Rafa’s style of art is crisp, clean, and particularly well sculpted in terms of character composition and background work, whereas Christian’s style is moderately similar -- visually, at least -- yet bolder and more pronounced in comparison. Now, out of the two, I generally prefer the look and style of Christian’s art, but only mildly, mind you, because his work was slightly more dynamic in tone and he did have some fairly interesting stuff to draw. Along similar lines, I also appreciated the depiction of certain characters throughout these two episodes. Like Iris West, for instance, who managed to drive the plot forward with her adventurous spirit and her vibrant personality! Whereas Fuerza, on the other hand, seemed like an interesting addition as well, up to a point; largely due to her civic-minded temperament contrasting against her angst-ridden attitude. And as for characters like Commander Cold and Detective Burns? Yeah, these two weren't too bad either, in part, despite their subplot feeling fairly disposable, forced, and generic within these proceedings: Where Girl meets Boy > Girl likes Boy > and Girl gets involved with Boy during a less interesting adventure, etc, etc, etc. Now don’t worry. I haven’t forgotten to mention Barry. Although, in his case, it was nice to know that Joshua took some extra special care and attention in regards to developing his slowly evolving character arc. Case in point, near the end of issue 61, both Barry and Fuerza had a disagreement over what they should do with the bad-guy, Cauldron: The Stereotypical Corrupt Cop, after they finally took him down. While she wanted to kill him on the spot, Crack!, he wanted to call in the authorities so they could take him off to prison. So, what did they do? How did they resolve their differences? 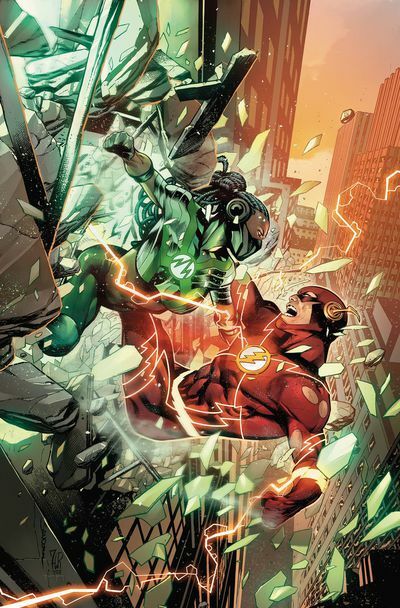 Why, they had a fight, of course, a fight which resulted in Barry using a strange new variation of his powers before eventually getting his own way. Which was fine, more or less, fine because it ended this stage of his adventure and showed that Barry doesn’t always have to see eye to eye with whoever he meets. Anyway. That's enough of my mad ramblings for this month, dear reader! So what did you think about these two issues? Did you like them or weren’t they your particular cup of tea? 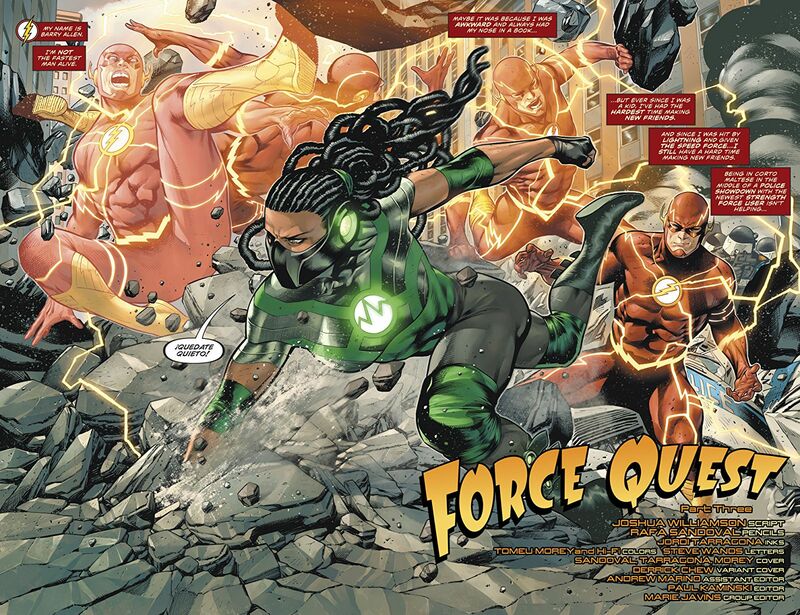 Also, what's your reaction towards Barry's new powers, next month's Force Quest combatant, Psych, and do you think he’ll be able to absolve this adventure of its sins? I hope he can, I really do, because so far he seems like a pretty decent chap with a pretty decent twist. A twist, I hasten to add, that seems to be as warped as Barry's new abilities. Either way, please let me know your thoughts in the comment section below. Well, it’s kind of a Spanish song, ha! In a very strange way, this current storyline kind of reminds me of online shopping. 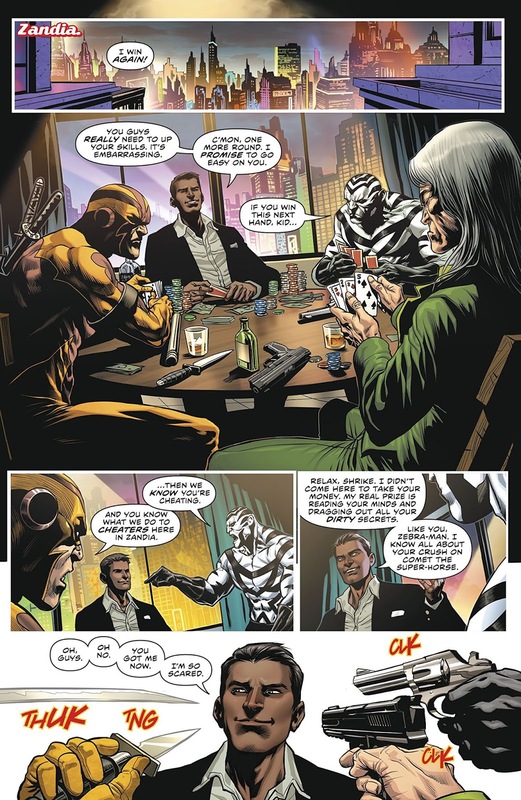 After all, Barry uses Commander Cold’s futuristic technology (app) to search for his next ‘accomplice’ (product), before visiting this person in the blink of an eye (click). You know it makes sense (wink). Comparison made.